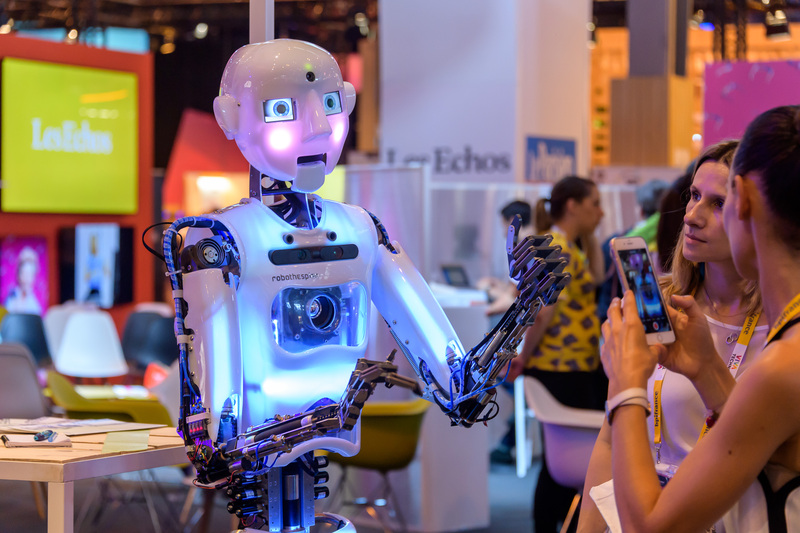 With over 100,000 attendees, 9,000 startups pitching or exhibiting, and more than 300 entrepreneurial speakers, VivaTech 2018 – the world’s rendezvous for startups and leaders – was an unqualified success. Its online content was viewed by 113 million people in over 150 countries around the world, making it a true celebration of today’s innovation and tomorrow’s possibilities. Thales has a long-standing commitment to a strategy of innovation through cooperation, which has seen the company approach over 500 startups over the past four years, with a view to exploring opportunities for cooperation and partnership within the framework of its digital transformation. This strategy resulted in Thales becoming a prominent Gold sponsor of last year’s VivaTech event, hosting 33 startups on its Innovation Lab, and more than 50 conferences in the Pitch Zone, opening up the doors of its laboratories and giving attendees a glimpse into the innovative technologies the company is working on. Given the rewarding and successful nature of the company’s participation in VivaTech 2018, it was only natural that Thales should decide to renew its involvement in the 2019 edition of the event, which will be held from 16-18 May in Paris. What we intend to showcase at this year’s VivaTech are the partnerships that we already have with a significant number of startups and research laboratories. This collaboration on open innovation has established us a forerunner in the application of four decisive technologies – Connectivity/IOT, Cybersecurity, Big data and Artificial intelligence– which allow us to partner our customers throughout their critical decision chain. Over the three days of the event, the Thales Innovation Lab will see a programme of conferences on a broad range of subjects, including autonomous rail transport, the future of space and aerospace, and Artificial Intelligence and smart cities, as well as the environment and cutting-edge medical technologies. VivaTech 2019 will allow Thales not only to share with attendees its expertise in these – and other – fields, but also to demonstrate what we have to offer in a fast-moving technical job market. We will be letting you know much more on what will be featured on the Innovation Lab as the event draws nearer. Watch this space for more information! Will the digital transformation of radiology give doctors enhanced x-ray vision?